Dr. Annie Bacon has been consistently praised for her contact lens evaluation and fitting services. Touching your eyeball can be scary and it takes a patient eye doctor to assist, train and encourage new patients and even those experienced patients working with new contact lens technologies. Patience is a virtue. Trust in your Portland Optometrist Annie Bacon to find the best contact lenses for your particular visual needs. 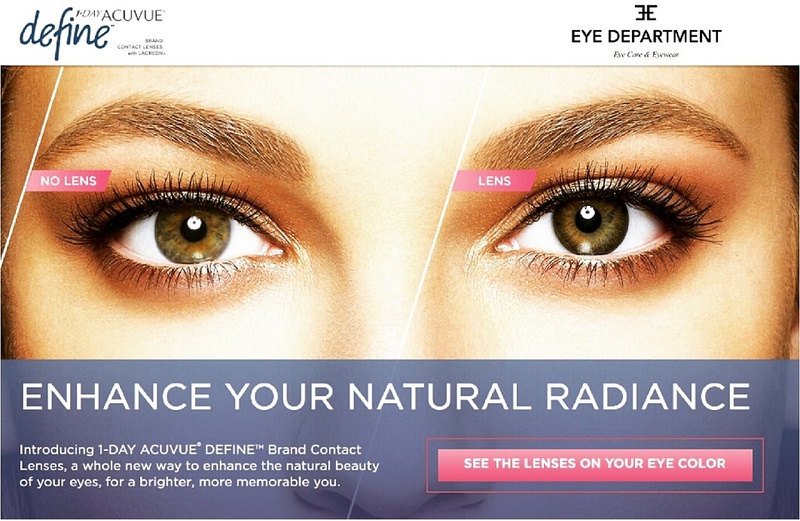 Contact lens evaluations and fittings at Eye Department provide patients with a stress free atmosphere and the opportunity to try a variety of contact lenses and even colored contact lenses. There are many options including daily, extended wear and aesthetic beauty lenses that you can discuss with Dr. Annie. Contact lenses sit on your ocular tissue called the cornea. The cornea can become inflamed or lack oxygen when contacts are misused or ill fitting. Our contact lens evaluation assesses the health of the cornea, the fit of the contacts and insertion and removal training if you are a first time wearer. There is an additional fee for contact lens evaluations. The fee depends on the difficulty of the fit. Contact lens evaluations start at $59 and go up from there but vary based on several factors including prescription complexity. Whether you are new to contact lenses or have been wearing them for a while, it is important to get started with the basics. Portland Optometrist Annie Bacon at Eye Department Eye Care & Eyewear provides full-service eye care for contact lenses. This post will provide you with an overview of what you can expect during your comprehensive eye exam and contact lens evaluation. Full service means comprehensive and individualized eye care. Dr. Annie enjoys working with the latest and greatest contact lenses including dailies, cosmetic and colored contact lenses. Simply having worn a certain brand or a certain modality for an extended time period is not a reason to exclude other options. It’s always fun trying the latest and greatest contact lens technology and what better way to make an informed opinion than to enjoy the process and try additional contact lens options. What happens if a contact lens tears or rips during storage, insertion or removal? What should I do if my contact lens tears or rips?